ISOCOM COMPONENTS is already more than 25 years of infrared optoelectronic devices leading supplier, specializes in optocouplers. ISOCOM offers a competitive replacement product for all popular industry standard models optocouplers, Isocom also offers their own brand elements and custom selection element. For many models, Isocom also provides in the shortest production time in the world, the more popular models can be supplied from stock. All of Isocom's products are RoHS compliant. IBS Electronics is a Isocom authorized distributor. As a ISO 9001:2015 certified distributor of electronic components you can trust IBS Electronics to offer you the best prices on Isocom's components and the highest level of quality assurance in the industry. ISOCOM was incorporated in the UK as “ISOCOM Components Ltd.” in April, 1989. The company specializes in industrial and commercial Optocouplers/isolators, optoswitches/sensors, and discrete infrared Optoelectronic components. The production plant for ISOCOMComponents Ltd. is based in the North of England. 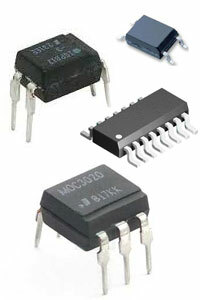 Isocom Components Ltd is developing a range of industry standard MOSFET relays. Due to the extensive reliability program this product range will be launched early into 2005. Isocom Components is a leading manufacturer of high performance infrared optoelectronic devices specialising in optocouplers and optoswitches. Since the business was established over 25 years ago they have consistently delivered in excess of their customer's expectations to become one of the most respected brands in the worldwide optoelectronic industry. All Isocom's products are guaranteed to meet customer-specified electrical characteristics. Yield limits may apply. Call us for specific part numbers. The innovative ISOCOM solutions below are made to match your unique design requirements. IBS Electronics announced that it has signed a franchise distribution agreement with Isocom Components. The global distribution agreement authorizes IBS Electronics to distribute and support all Isocom product lines. 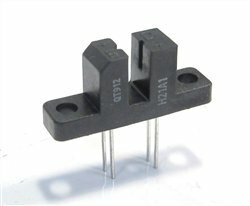 The new relationship expands offerings for optocouplers, optoswitches, and solid state relays. With manufacturing facilities in both the UK and Hong Kong, the new agreement allows Isocom to expand its distribution network. 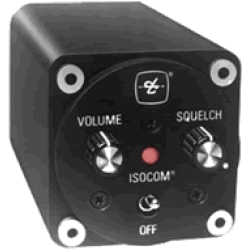 Isocom offers a complete and comprehensive line of optocouplers suitable for all commercial applications. Isocom's market expertise and manufacturing process results in the shortest lead times around the world. Isocom expects to expand its drop-in replacement options for all popular optocoupler standard types, including, many hard to find and obsolete items. In addition, Isocom carries out special parametric selections to meet customer-specific circuit design requirements.